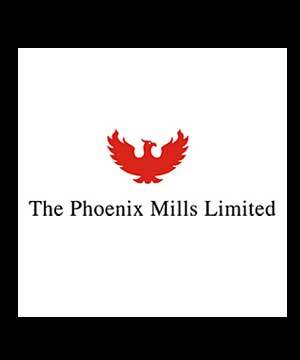 Phoenix Mills Ltd's (PML) 3QFY11 results were above our estimates. Revenues were up 49.3% to Rs.451m and net profit grew by sharp 133.3% to Rs.238. The variance in the net profit figure was mainly due to higher-than-expected other income of Rs.71m. EBITDA was up 85% YoY at Rs.327m. While in the Pune Market City projects ~130 retailers have begun fit-out work, the expected operational date for the mall has been revised to March 2011. We believe PML is a unique play on the booming domestic consumption story, without retail-specific risks. We have rolled over our NAV estimate for the company to FY13E at Rs.288. The stock trades at a P/E of 17.6x FY13E EPS (26.2x FY12E EPS) and 28% discount of FY13E NAV of Rs.288 (20% discount to FY12E NAV of Rs.258). Maintain Buy with a target price of Rs.260 (~10% discount to FY13E NAV).